Home News Fallout 76 Fallout 76: Which West Virginia landmarks can you find? 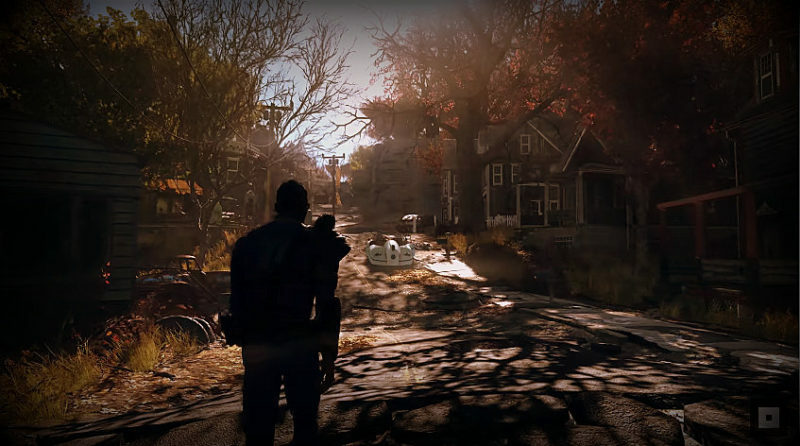 A Fallout 76 character wanders a desolate West Virginia street. Which famous state landmarks do you recognize? In time for Christmas 2018, Bethesda it will unleash “Fallout 76,” a video game of enormous proportions that appears to be entirely centered in a post-apocalyptic West Virginia set in the 2076. The trailer for the video begins to pay homage to the Mountain State from the state, invoking the state song “Country Roads, Take Me Home.” Scene after scene catalogs a series of locations and landmarks both eerily and evocatively similar to present-day counterparts. Gamers in West Virginia have since been picking Youtube.com videos of the game apart, looking for clues as to how the game will play out and what it means to their state. Our development team found the following images captured from the launch video. Do you agree with their findings? Do you see more than we see? Add your commentary below. 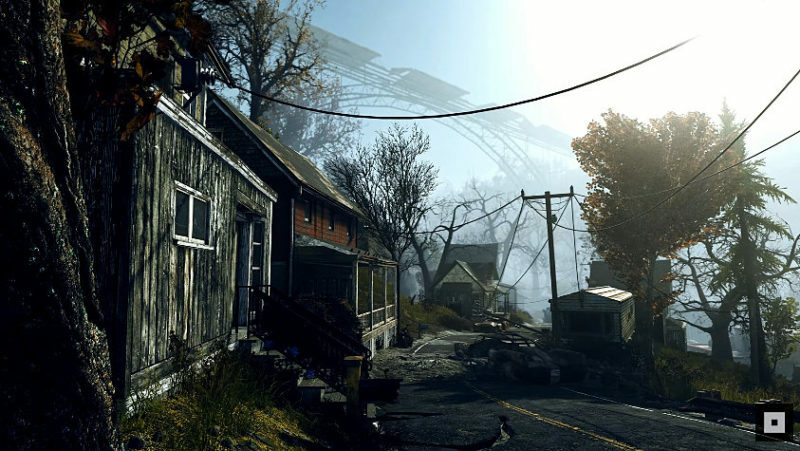 A screenshot from the new game Fallout 76 appears to show a ruined New River Gorge in the background. Unmistakable in the distance, a ruined New River Gorge Bridge arcs across the New River Gorge near Fayetteville, though the houses shown in the foreground do not exist. The gorge is now almost entirely forested and part of the New River Gorge National River.